We stock Ash in both flatsawn and quartersawn cut. Flatsawn - typical flat grain with cathedral like arches mixed with a little straight grain. Quartersawn - grain is mostly straight with little to no cathedrals. Batter up! Ash has excellent shock resistance, it's one of the most commonly used hardwoods where toughness and impact resistance is important. 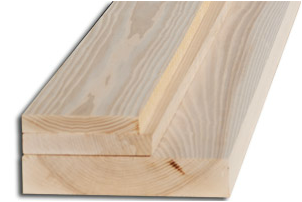 Typically used in furniture, baseball bats, millwork and flooring. Produces good results with hand or machine tools. Responds well to steam bending, gluing, stains, and finishes well.